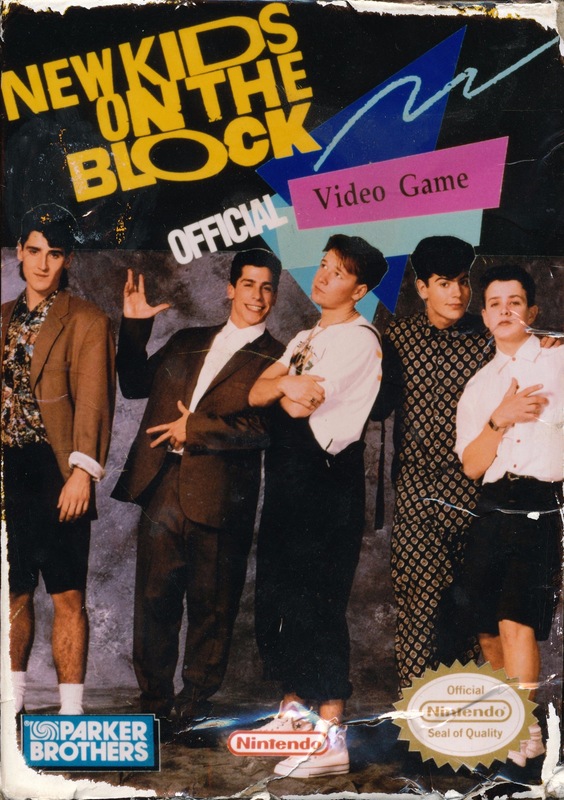 Prototype box art for the game. Reportedly “used as a hockey puck at EGM headquarters”. 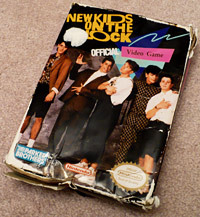 New Kids on the Block was an NES game being developed by Parker Brothers based around the American boy band of the same name, likely developed sometime during the group’s peak years between 1988 and 1993. 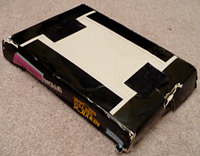 Very little is known about the game, with the only evidence of its existence being a prototype box for it that was sold on eBay in 2009 by Tracy Baran, wife of former Electronic Gaming Monthly editor Andrew Baran, who held onto the item after he left the magazine. According to programmer David Crane (known mainly for games such Pitfall! and A Boy And His Blob), the game was merely an early concept done by Parker Brothers and never went past the design papers. Back of the prototype box. Front of the prototype box.